Experiencing winter in Alaska, United States is something you won’t forget. During the 5 hours of sunlight you get if you visit during the coldest months, there’s an abundance of fresh powder snow for all kinds of outdoor adventures, from dog sledding to cross-country skiing. When it gets dark, the Milky Way magically lights up the sky and if you’re lucky, you can even see the ‘Aurora Borealis‘, more commonly known as the Northern Lights. The average temperature in January drops to -30°C, but since the air is dry and there’s barely any wind, you can still enjoy the untouched outdoor landscape without freezing yourself to the bone. Dog sledding is not just a traditional mode of transport from the past. 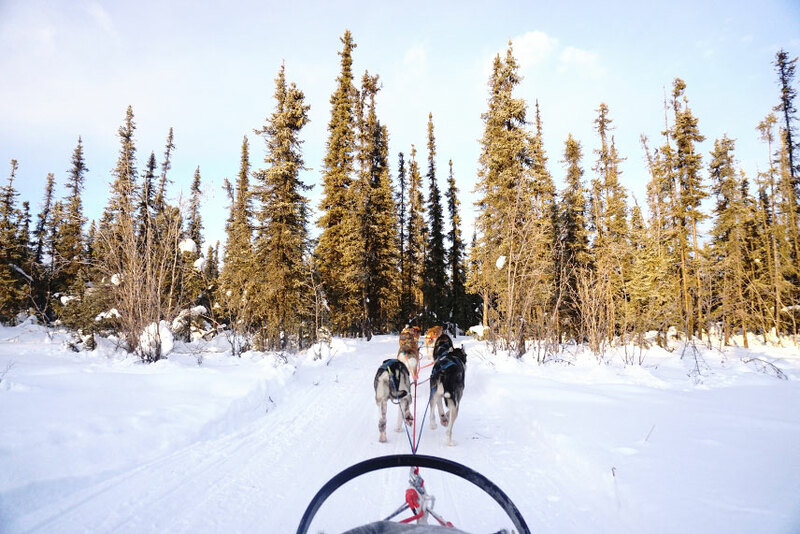 Today, it’s a statewide obsession with locals, one that’s celebrated with the annual Iditarod Sled Dog Race from Anchorage to Nome every March. This long-distance trail passes through mighty mountains, frozen rivers and harsh forest conditions and runs for 1,000 miles, taking a team of 16 dogs up to 9 to 15 days to complete. 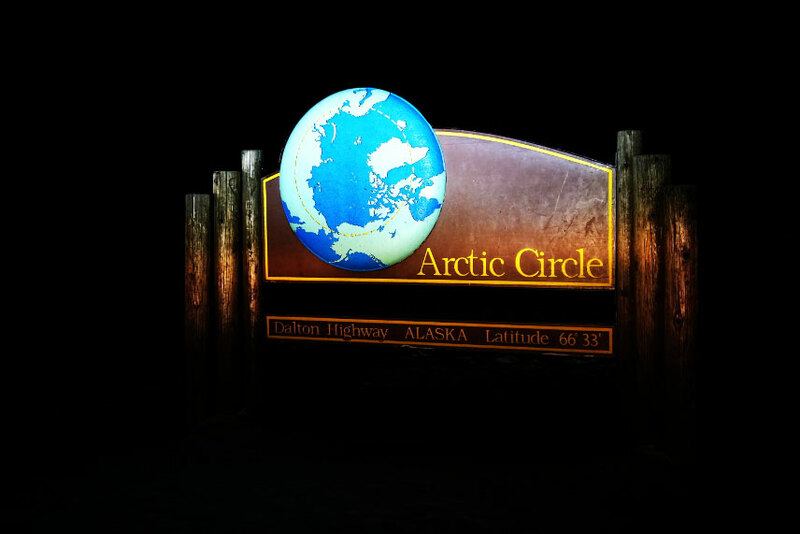 Have you ever been curious to visit the Arctic Circle, one of the 5 major circles of latitude that’s shown on all world maps? You can if you drive for 14 hours from Fairbanks, which will get you to the parallel of latitude that runs 66° north of the Equator. Aside from extra bragging rights to say that you’ve been there, you also get a certificate as proof to take home with you. 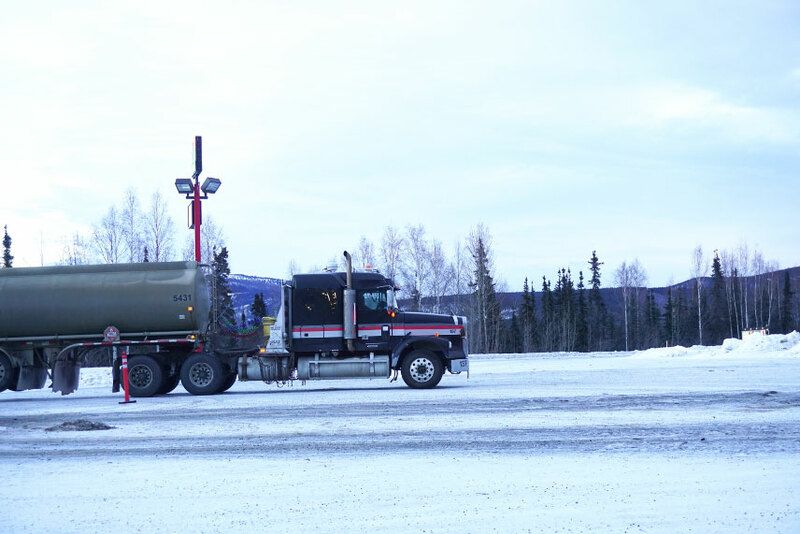 Part of the 14 hour drive to the Arctic Circle is along the Dalton Highway, made famous by the American TV show, ‘Ice Road Truckers’. The single lane highway, one of the most isolated roads in the US, is also one of the most dangerous in the world! Enormous trucks and trailers fly glide down the thick layer of ice, going against strong winds to try and stay on the road. 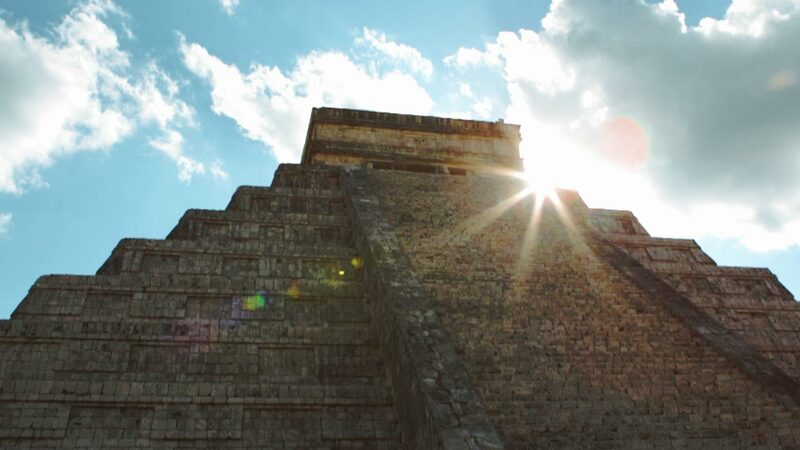 Be extra safe and go with a reputable tour agency for your journey. 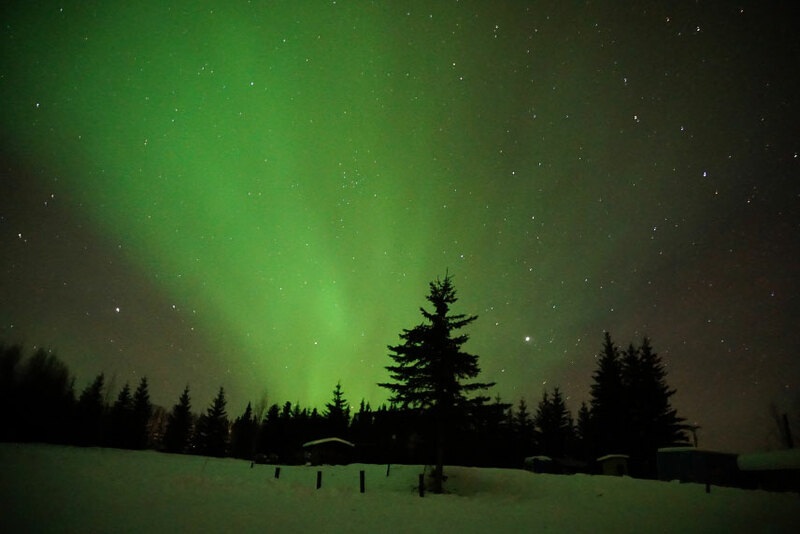 Fairbanks is the perfect location to see the ‘Aurora Borealis’ with your own eyes. These vivid, colourful lights that dance in the sky with an eerie glow are actually collisions between the Sun’s electric charged particles as they enter the Earth’s atmosphere. Pale green and pink are the most common colours displayed, though shades of red, blue and even violet have also been reported in the past. 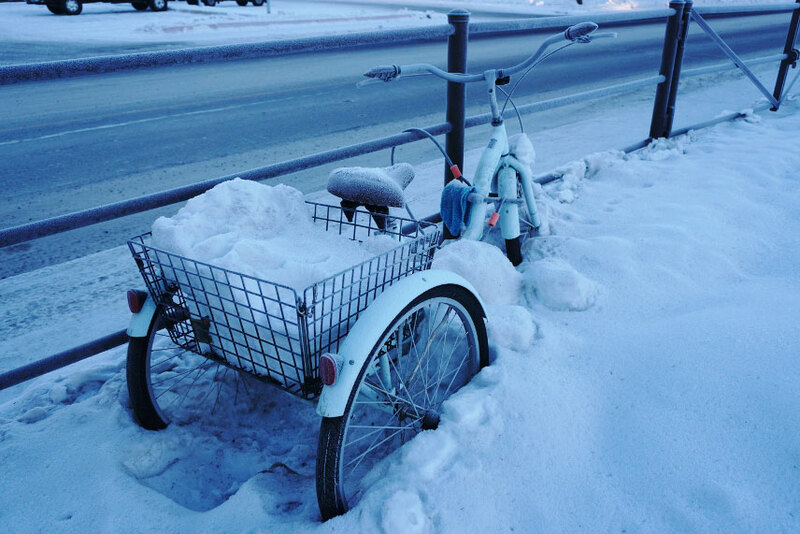 The walkways and parks in Fairbanks are all covered in snow, sometimes up to knee-deep. As the snow dries, it becomes the perfect blank canvas for some snow angles. Drop flat and get creative anywhere you like! 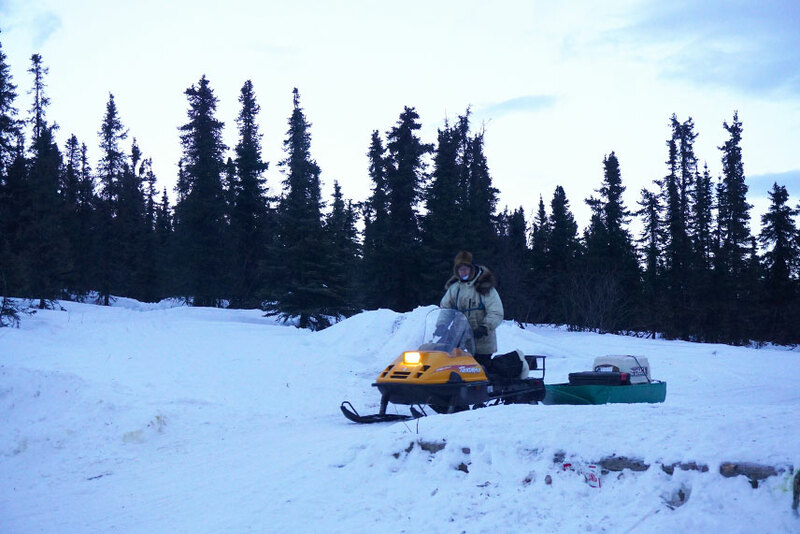 Walk, ski or ride a snow machine on the mighty Yukon River! All frozen bodies of water that dot the Alaskan landscape instantly becomes a playground for locals and visitors alike to indulge in winter, adrenaline-pumping activities. 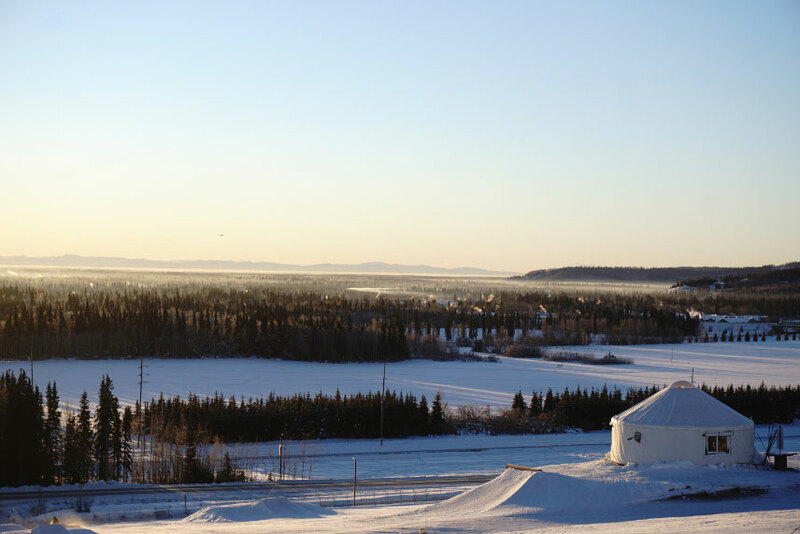 A day visit to the Chena Hot Springs Resort, 60 miles away from Fairbanks, is a must. 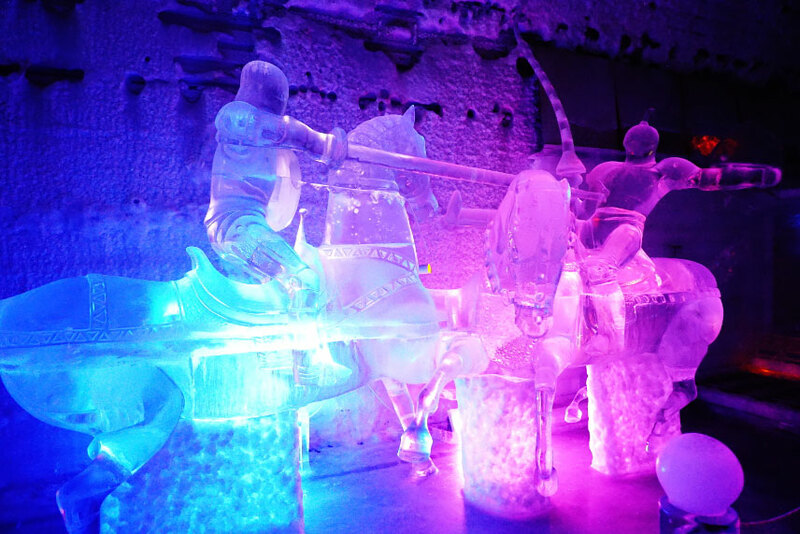 It offers 2 very unique experiences – getting to admire an ice museum while sipping Appletini from an ice glass, followed by a comforting dip in the hot springs, warming for the body and the mind. 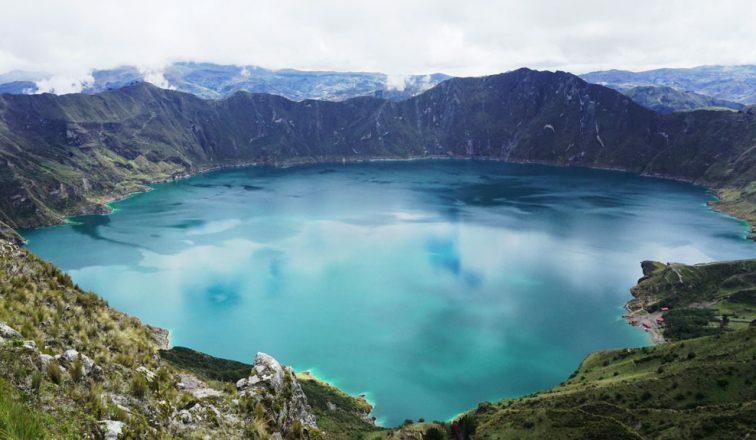 Not many travellers seem to put Alaska at the top of their list. 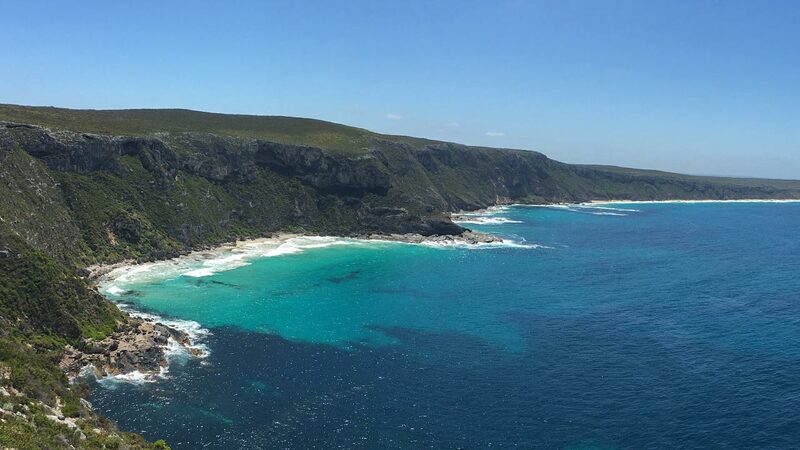 But the immensely picturesque landscapes, warm hearts of the locals and the short days to seize are worth all the thermals and layers you need to pack in order to survive the incredible winter season.